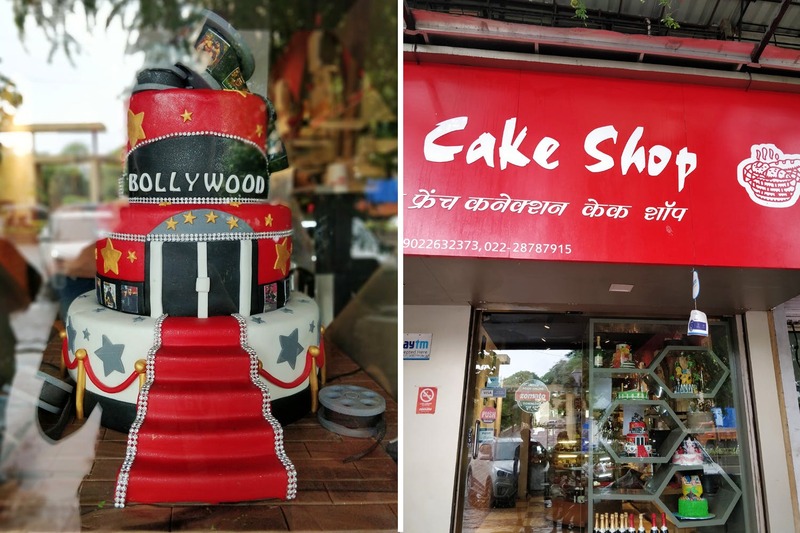 Situated right opposite Inorbit mall in Malad is a small cakery with a bright pink board that reads French Connection. Even if you’re just passing by, it’s less likely you’ll miss spotting this thanks to their beautiful fondant cakes that are aesthetically lined up on either side of the door. Go inside, and you’ll see a counter filled with an exciting mix of savoury and dessert options. A narrow gallery on the side overlooks the live cake icing counter where you can see the magic happen. With only makeshift space to eat, French Connection is primarily a takeaway/home delivery place. Largely known for their sweet dishes, you must lay your hands on their Dutch truffle (INR 70 for a pastry, INR 380 for a half kg cake), or their chocolate eclairs (INR 50). They also do multiple flavours of cheesecakes (INR 100 per piece), cupcakes (INR 75), and premium cakes like chocolate mango or a swiss choco caramel crunch starting at INR 450 for a half kg cake. Besides, their fondant game is ace and they have some of the most intricately done designs that look beautiful and are tempting. Let your children have their way; get them that superhero cake you’ve been denying for so long. Apart from the desserts, they also do savoury items and their chicken quiche (INR 50) is specifically nice. If looking for a quick bite on the fly, their puffs and burgers aren’t bad either. They also offer bakery items like flavoured biscuits, cookies and bread. If your sweet tooth is urging your whole mouth to turn into a dessert hogging monster, head here for a variety of desserts. And savouries to tone down the sweetness. And then some more desserts. You get our drift.